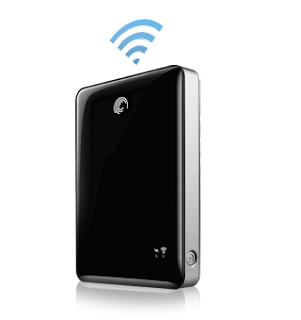 The GoFlex Satellite device goes wherever your iPad, Android tablet, or Laptop computer goes and lets you wirelessly access all your movies, photos, music and documents. No more worrying about running out of space on your mobile device. Simply plug the GoFlex Satellite device into your PC or Mac computer to quickly sync your media library. With two children that are growing quickly (my goodness time is flying by! ), their interests seem to growing (and growing apart) just as quickly. The princess often prefers to watch "girly" movie's and our son prefers to watch, well, quite honestly anything and everything that airs on the Disney Channel! When on long car trip's, or even when watching movies in our home, it often leaves them at odds, and fighting over who gets to watch their preferred title FIRST. When I first came across the GoFlex Satellite by Seagate, I was intrigued to say the very least! A device that would allow us to stream our digital media library wirelessly to three separate devices at the same time? A device that would also allow me to free up some of the storage space on my hard drive? A device that could possibly restore peace to our car trips & home? SIGN ME UP! When the GoFlex Satellite Wireless arrived, it was super simple to set up. By simply plugging the device into my computer it automatically synced my media library. We were then able to connect to the GoFlex with our wireless enabled devices, and each watch what we wanted. The large storage capacity (500GB) allows us to add up to 300 movies to this device, and take them with us on the go, or enjoy them at home! The GoFlex Satellite by Seagate has restored peace to our car trips, and home. This compact device provides hassle-free portable on-demand entertainment, to meet the demands of our family's active lifestyle. Leave a comment~Which feature of the GoFlex Satellite Wireless by Seagate are you most excited about? The comment is considered your entry. Entry to this giveaway ends on September 30, 2011.Winner's are chosen randomly through random.org.The winner will be announced within 7 days of the giveaway ending and contacted through email. The winner will have 48 hrs. to respond or another winner will be chosen. I like that the Seagate GoFlex is really "flexible" in that it is simple to set up, portable, compact and hassle free with such a large capacity of up to 300 movies. Sign me up for this one! 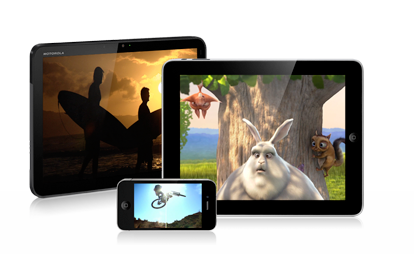 The feature that I like most is that you can watch multiple HD movies on multiple devices all at the same time!